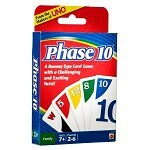 From the makers of UNO comes a rummy-type card game with a challenging and exciting twist! 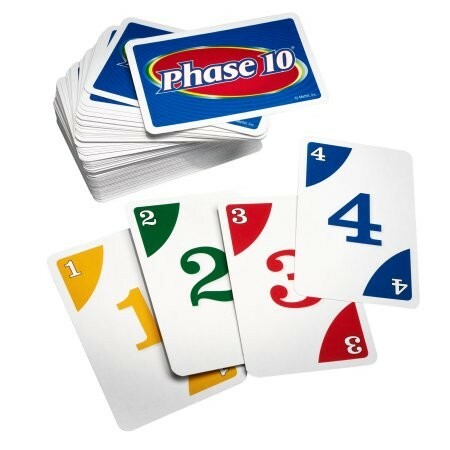 The object of the game is to be the first player to complete 10 varied phases with two sets of three, one run of seven, or seven cards with the same color. 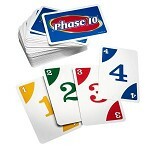 The twist is that each Phase to be completed is specific for each hand dealt. Players who complete one Phase advance to the next, but those who don't must keep trying until they do. Each deck features “Wild” and Skip” cards, which add excitement and can help you get out of a sticky situation. A “Wild” card can be used in place of a number card, as well as be used as any color to complete any phase, while a “Skip” card causes your opponent to lose a turn! 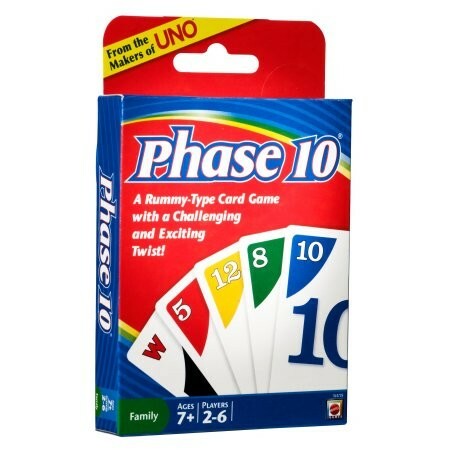 Be the first person to complete all ten phases to win the game. Includes 108 cards and instructions!